Especially beautiful in the winter in the woods, when there is frosty weather, and underfoot crunching snow. The forest is magical, all quiet and solemn. 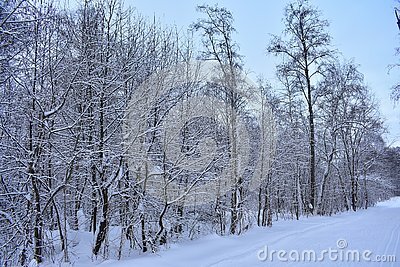 The trees are not black and gray, and are elegant covered with snow, like white shawls.